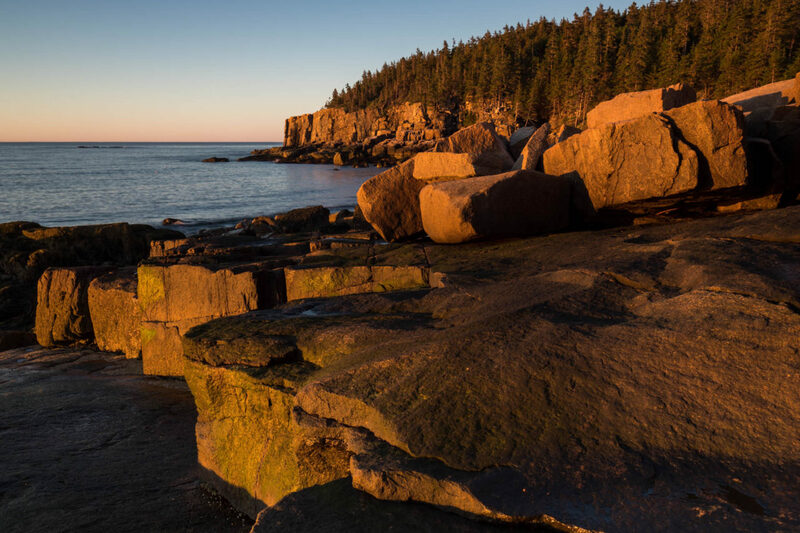 Acadia National Park was an interim stop on the way to Grand Manan Island. Steven Perlmutter and I had one sunset and one sunrise shoot here before continuing on to Canada. Wakeup call this morning was 3:15 am for the second earliest sunrise of the year. In spite of the clear blue sky, it was well worth it. Steven hit the boulders on the beach and I stayed up on the bluff for this view.